The buzz is in the air! You can feel the excitement growing as we get closer to Christmas. 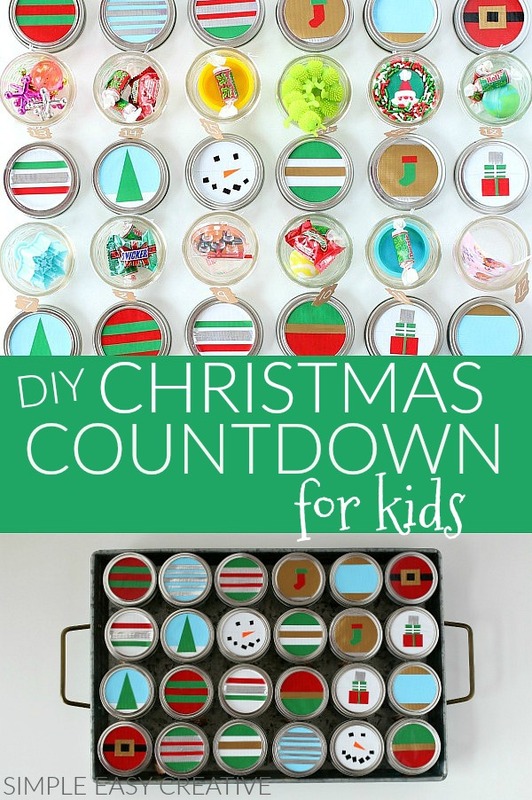 This Christmas Countdown Calendar will not only keep the kiddos occupied, but I bet it will be fun for you too! As parents, the anticipation of the Christmas holiday is exciting, yet a little exhausting if we are honest. We all love it, but then there is shopping, baking, cooking, wrapping, parties, and the list goes on and on. One thing I have learned over the years is to keep it simple and enjoy the time with the family, that really is what the holidays are all about. Part of spending time together is creating fun projects, baking, and decorating the tree. If you don’t have a Christmas countdown tradition, may I suggest you create one this year? 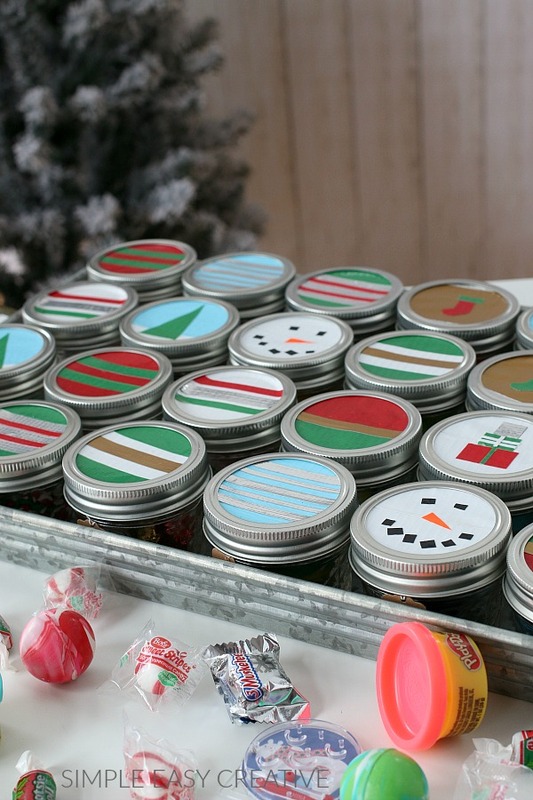 To create your own Countdown Calendar for Christmas, all you need are small mason jars, Duck Tape to decorate the lids and the treats for the jars. 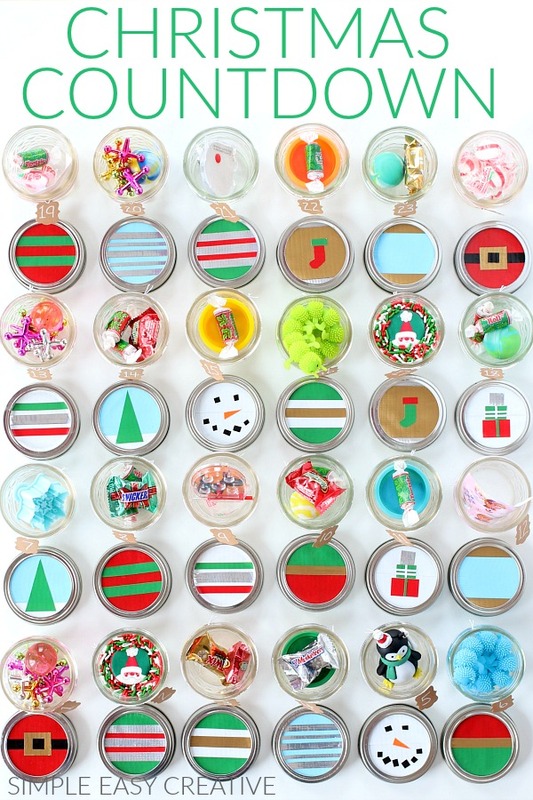 Another fun idea for each jar is to add random acts of kindness, then gather the family each day and add kindness to your community. Add the next color of Duck Tape, being sure to meet the two piece together, don’t overlap. 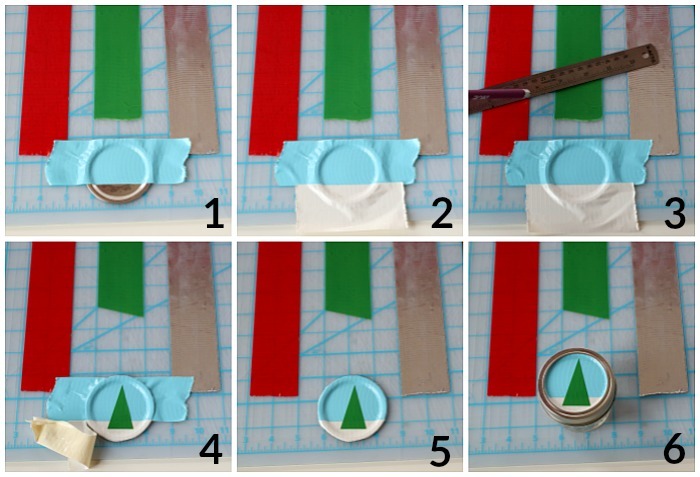 For the tree, cut the green Duck Tape into a triangle using a ruler and X-ACTO knife. We used 5 different designs – Santa, Snowman, Stocking, Tree and Presents and then filled in the rest with stripes. You can keep it as simple as you like or get detailed. 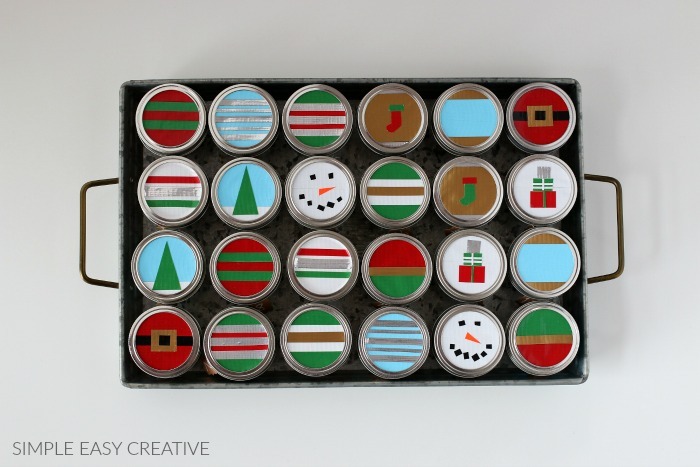 The fun with this Countdown Calendar for Christmas is also in the making, let the kids pick out the designs. Be sure that you are doing the cutting though. 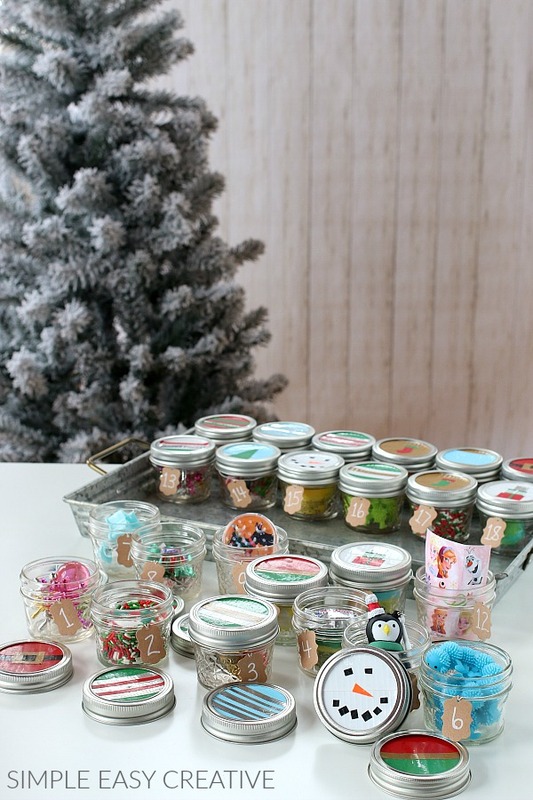 Each of the jars fit nicely into a tray. You could also add them to a basket or sit them on the counter. 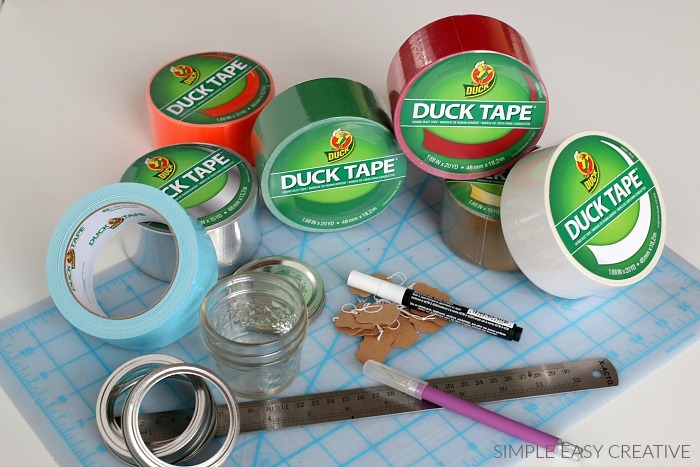 Follow Duck® Brand Tape on Pinterest, Facebook, Instagram and Twitter for more inspiration! 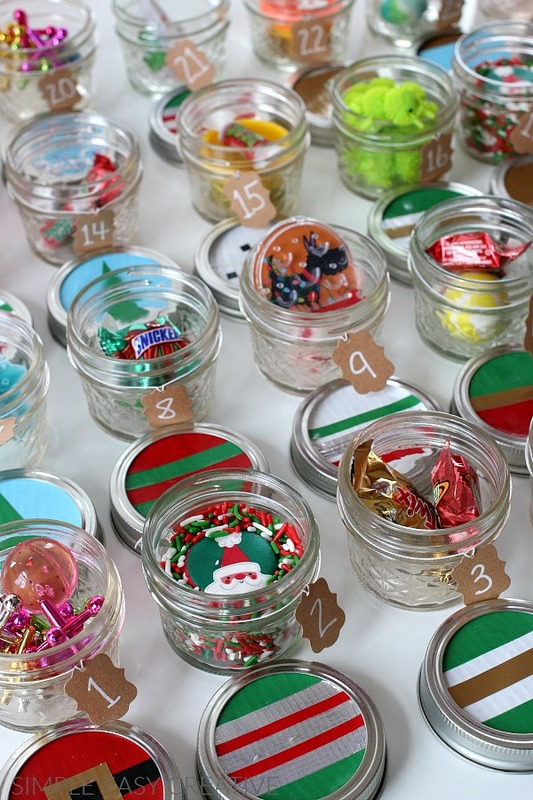 This is such a fun way to count down the days to Christmas with kids!!! Thanks Lori! They are really fun to make! So easy and cute. What a great idea!!! Thanks Sommer! So excited you like it! Such a fantastic idea!! I LOVE it!! I will definitely be making these! So excited you like the countdown calendar! Thanks Katerina! I absolutely love this idea! Can’t wait to make it for the kiddos this weekend! Thrilled you like it Anna! Have fun making them!